Lighting is inevitable part of each event. 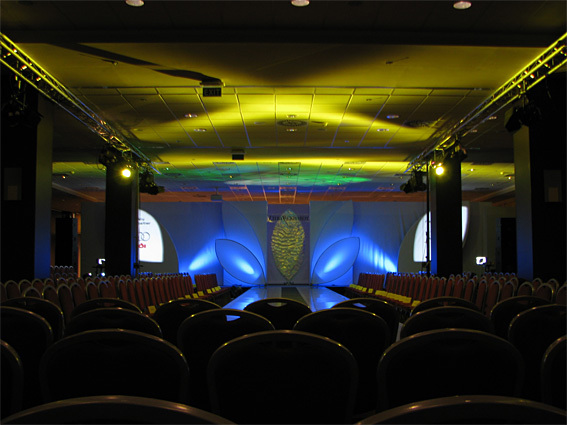 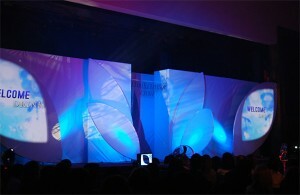 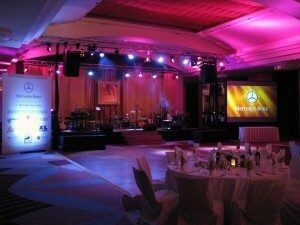 Spot lights, moving heads, fog machines help us to create a suitable lighting for your event. Aluminum construction, hanging systems Ground Support, are necessary for safe hanging and directing of spotlights, it serves also for hanging up various decorations, horizons, coulisse and so on.